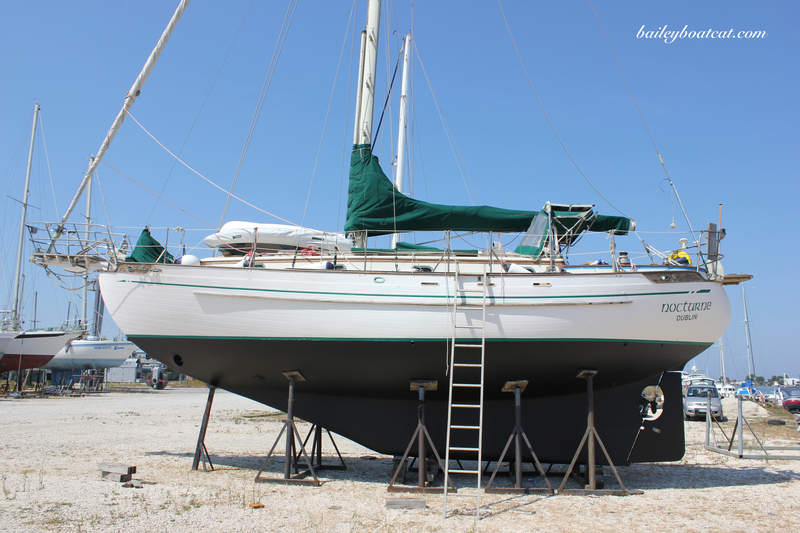 Have you seen me sailing? Happy Film on Friday furiends! Here I am sailing! This film was shot in the summer just before we arrived into Ponza, (Italy) as you’ll see I spend most of my time in my travel bag. If it’s really calm, then I venture onto the deck to properly appreciate the breeze. I hope you enjoy it! You are so pawesome and brave Bailey! wooooooowoooooooo! ;0Looking great on deck, Bailey! Good music too. 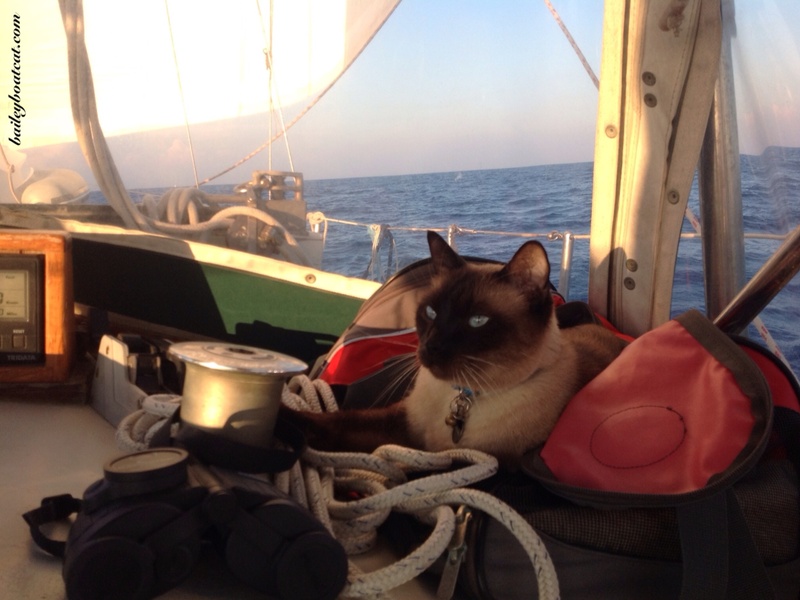 You’re quite a nautical cat! Have a good weekend, Bailey. 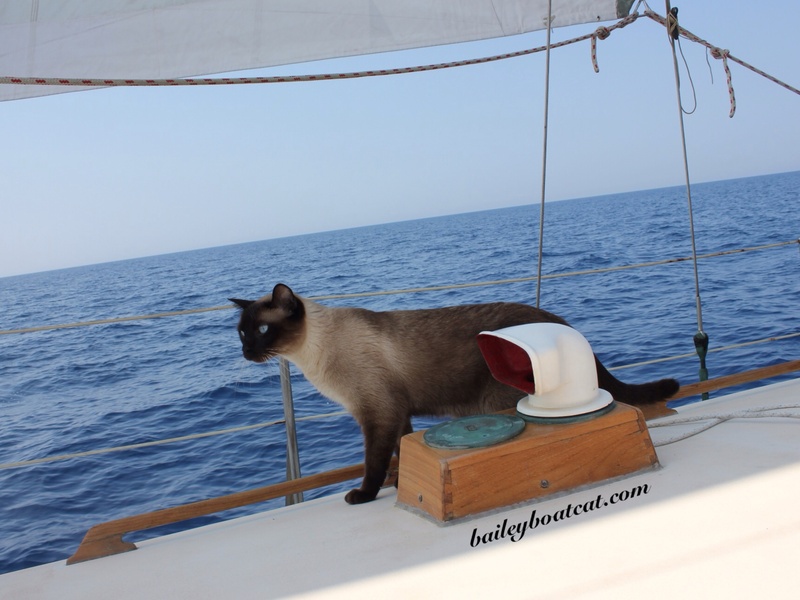 I can tell you really love to sail, Bailey! Sailings in your blood Bailey. Well, they looks like mad, wicked fun! You look very cool in your travel case. Very cozy! We love seeing you out on the open sea, Bailey. Love your video Bailey! It is especially nice since it is so cold here 🙂 Have a great week-end!